Sharon's Tsunami Mist is one of Nightmist's last foals. Originally she was named just Tsunami Mist but she was renamed Sharon's Tsunami Mist, in honor of an admirer of Nightmist. 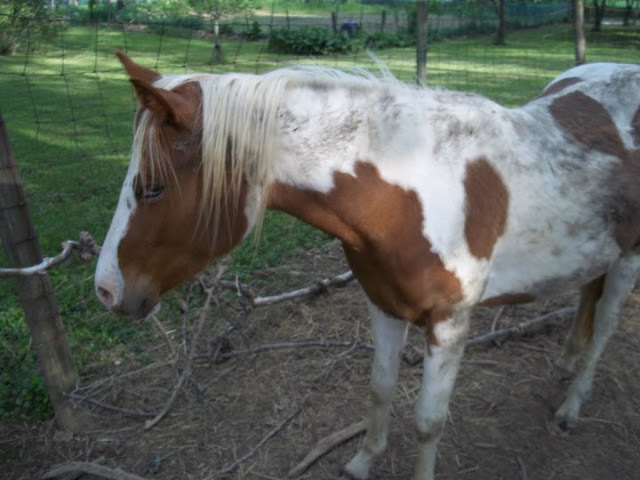 She is a flashy chestnut pinto with two blue eyes. Tsunami Mist has been trained to ride.